♥This week, I’ll be posting a small collection I have gathered of fantastic pairs, couples or friends spotted while riding San Francisco’s bike lanes. Enjoy! While riding with friends back into the city back in November, 2009, we came across this couple. 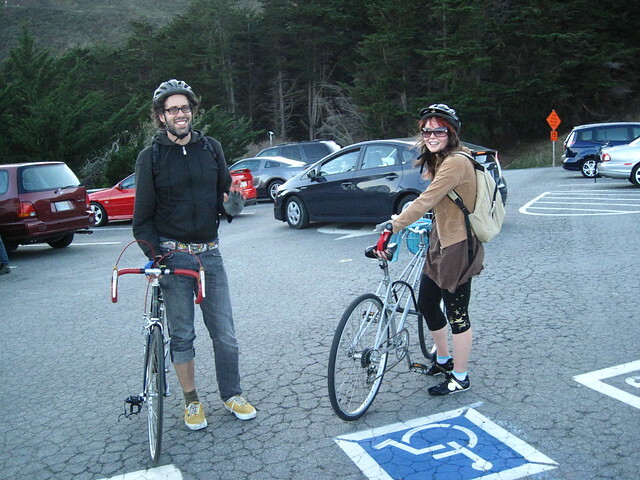 They were riding from the city into Marin’s little hidden gem places to stay (OK, Cavallo point) to spend an anniversary or birthday. I forget. Also, at that time, I didn’t get their names, so if you know them let them know that they are a super cute duo and of course +many congrats for their celebrations that weekend! Ahhh! That's ME and my favorite man celebrating his birthday! 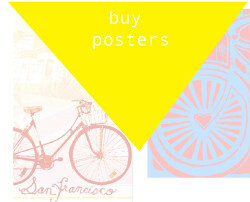 Thanks so much for posting! It was a wonderful weekend! the wonderfulness of the interwebs – sweet band! !